ATICO Medical Pvt. Ltd. are manufacturer, supplier and Exporter of Dental Hanging Engine. - X-Ray Tube : 0.5 mm focus Imported Tube. - Radiation Leakage : < 0.25 mG / hr, from focal spot. - Voltage Comprenstion: 190v to 250v built in digital controlled voltage stabilizer. - Supreme OEM motor with 35, 000rpm high torque built in safety device with foot control. - Dental engine for clinical and phantom lab work, introducing micromotor with high performance economical and compact. - Electronic control which has smooth start and attains high stop quickly without any jerk. 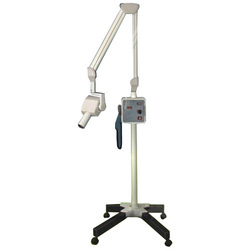 - Magnifies the image of X-Ray 2.5 times for better study of the same. - Provided with CFL back light for better image. - Power consumption is very only 5 watts. These are fixed or removable orthodontic appliance which use forces generated by stretching of muscles, fascia and/or periodontium to change skeletal or dental relationship. We manufacture superior quality duplicating flasks which are used in dental applications. Our duplicating flasks are made from chrome plated aluminum alloys. Our duplicating flasks are excellent for use with dental agar agar gel. 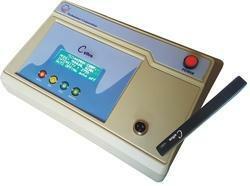 We are an esteemed trader of Dental Compressor that are highly efficient and cost effective. We offer Dental Amalgamators with solid state timer. This equipment is appreciated for easy filling, minimal maintenance, simple operation and installation and occupying lesser space. Ideal for all kind of silver , mercury and capsules, this equipment is offered with reusable mixing caps.